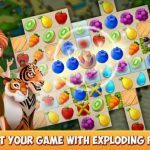 Chilingo’s Rescue Quest is another proud entry in the casual category, where games are typically twists on Flappy Bird in the sense that they boast super-stripped down mechanics, or twists on Candy Crush Saga and other Match 3 titles. 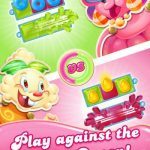 If you’ve played Candy Crush Saga before, you’ll definitely find Rescue Quest familiar, but there are a number of twists that make it distinct from the myriad Candy Crush clones. 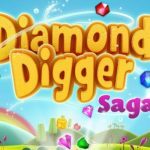 In fact, it’s been described as a hybrid between the exploration twists in Diamond Digger and classic match three gameplay, so that should make Rescue Quest a worthy title to download. Now, we’ve got a couple of Rescue Quest cheats, tips and tricks that should be of help for new and experienced players alike. Since this is a different type of matching game, the best thing to do for starters would be to explore your surroundings by tapping outside of the play area, then dragging your screen. Alternately, you can tap with two fingers and drag the screen to see what’s around you. Be sure you’re not tapping one finger inside the play area, because you might end up executing a move when you don’t even plan to. It goes without saying, that if you want to make your way quickly through levels, you should be aware of how many moves you have and make them count. Just like in other match three games, clearing four or five pieces or clearing pieces in a T or L position will earn you a special piece with special power. You can also combine these pieces to create an even more powerful one. For example, combining the bomb piece and line clearing piece would give you a larger bomb that can be used to clear a wider range of pieces in the play area, the operative words here being “play area” as this won’t work for pieces outside the perimeter. While Rescue Quest is different from the average Match 3 game, the same basic tenet applies, and that’s matching at the bottom being the most effective and efficient way to clear the play area. As you go along, continue making your way up the board as you’d usually do in a matching game. Unfortunately, moving the time on your device forward by a couple hours once you’ve turned off Rescue Quest won’t do the trick here – Chilingo appears to have been smart enough to circumvent one of the oldest tricks in the book. That leaves you no choice but to connect Rescue Quest to Facebook and invite friends to play. 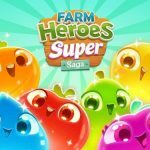 But since we understand that such tactics tend to upset certain Facebook users, what you can probably do is create a second account for your mobile gaming purposes only, and use it to add Rescue Quest players.